It has been exactly a year since AtoMiC ToolKit 2.0 was released with an awesome new GUI to make life even more easier. 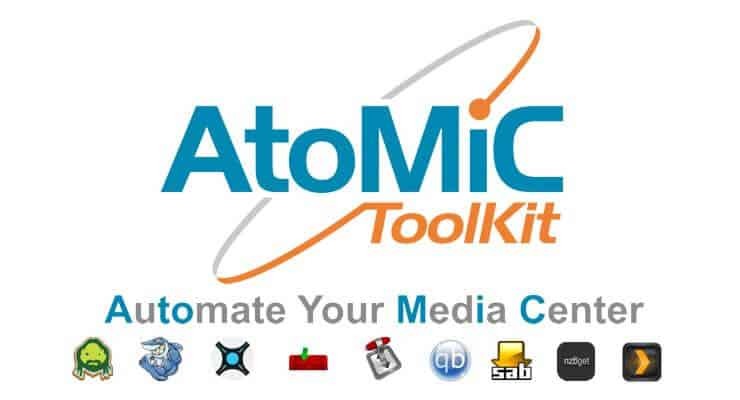 AtoMiC ToolKit (Automated Media Center), automates home server software installation and maintenance. We have written in detail about how AtoMiC ToolKit works. Today, I happy to announce that it has received several changes, improvements, and fixes over the last year. Read on to see what this February 2017 update brings. There are two ways to get involved, you can do both, just one, or neither (although we would appreciate if you help us out). Please take 5 minutes to help shape the future of AtoMiC ToolKit. The survey shown / linked below has 6 questions, responses to which are completely anonymous. Your feedback will be used to come up with AtoMiC ToolKit development strategy. With AtoMiC ToolKit, we have tried to provide you an ecosystem to automate HTPC and home server software maintenance. It works best if all software are installed and uninstalled through the ToolKit. If you already have a few things installed then the ToolKit may work but depending on how the software are configured you may encounter errors. If have any suggestions or feedback, please leave a comment. If you like it then spread the word by sharing this post. To contribute or report a bug/issues, head over to AtoMiC ToolKit GitHub page.